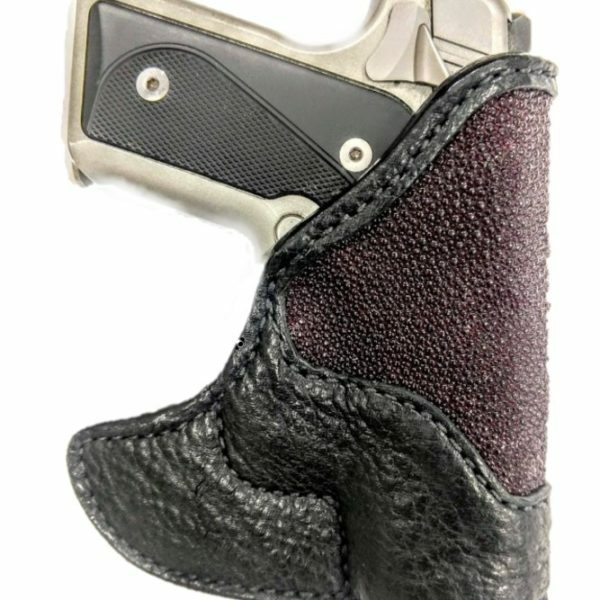 The New revamped of our original Front Pocket Holster (B-7) is a very simple yet effective holster for carry of small .380, 9mm and a small snub nose .38/.357. The front pocket design is small sleeve that encases the barrel and trigger guard of the weapon. Allowing easy access to the weapon. 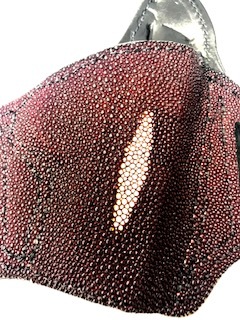 The outer layer is black tiger shark leather, one of the toughest leather on the market. 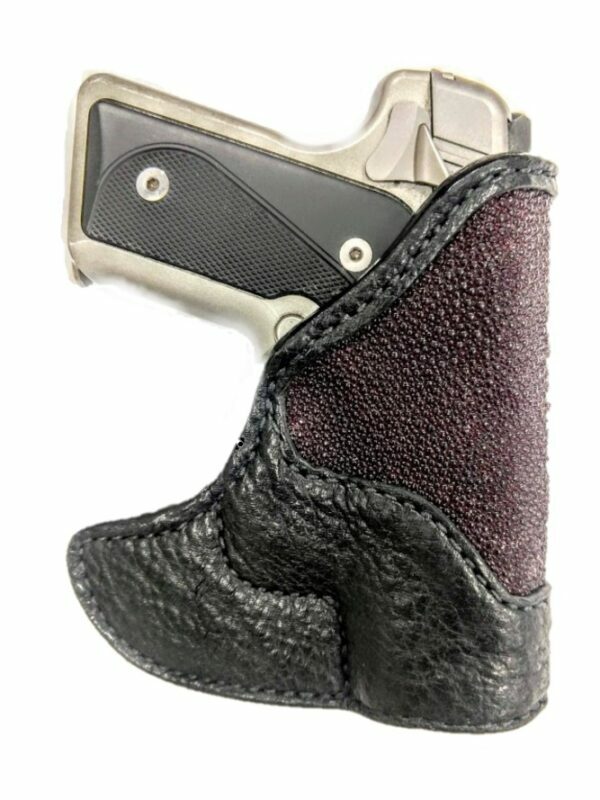 Inlayed with mahogany stingray, making this pocket holster one of the most DURABLE holsters on the market. 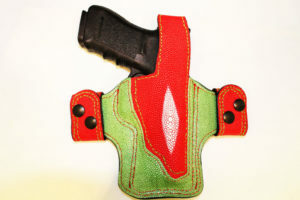 The front pocket holster keeps the weapon upright in the pocket. To access the gun easier and prevent the gun from moving around. 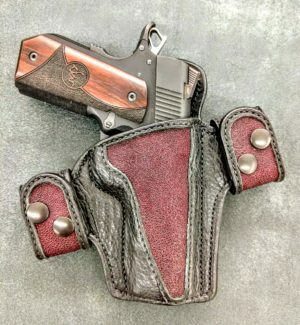 While keeping the holster and weapon comfortable in the pocket for long term carry! This is also, a great choice for cargo pocket, jacket pocket, purse pocket, vehicle pocket or bedside.